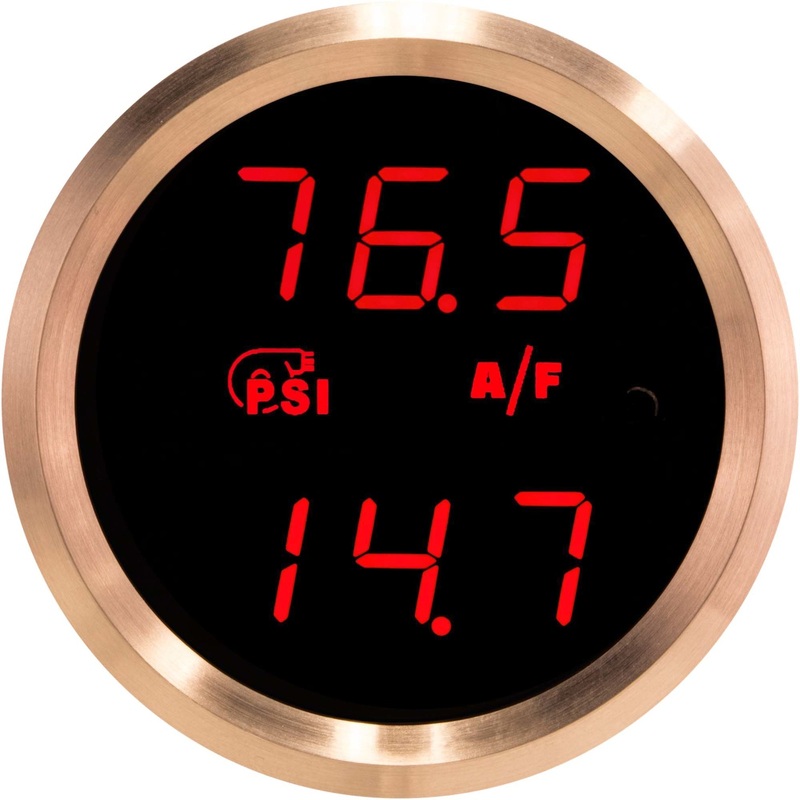 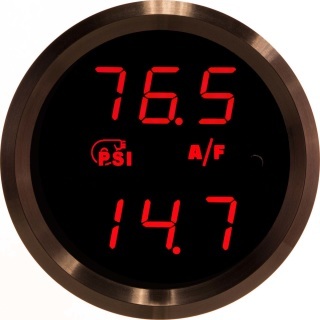 Displays High Resolution Vacuum-Boost Pressure (PSI) & A/F ratio (wideband) simultaneously. Vacuum-Boost Pressure sensor: SEN-P70B (included). Wideband controller with matching wideband oxygen sensor (required). Displays Vacuum-Boost Pressure and Wideband Air-Fuel Ratio simultaneously.